Growing up poor in Mountain Pine, Arkansas, with a young, addicted mom, Bobby Estell fell in love with country music. 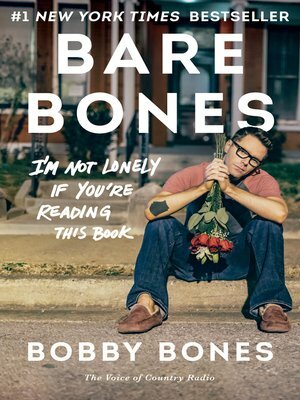 Abandoned by his father at the age of five, Bobby saw the radio as his way out—a dream that came true in college when he went on air at the Henderson State University campus station broadcasting as Bobby Bones, while simultaneously starting The Bobby Bones Show at 105.9 KLAZ. Bobby's passions were pop, country music, and comedy, and he blended the three to become a tastemaker in the country music industry, heard by millions daily. Bobby broke the format of standard country radio, mixing country and pop with entertainment news and information, and has interviewed some of the biggest names in the business, including Luke Bryan, Taylor Swift, Blake Shelton, Tim McGraw, Lady Antebellum, and Jason Aldean. Yet despite the glamour, fame, and money, Bobby has never forgotten his roots, the mom and grandmother who raised him, the work ethic he embraced which saved him and encouraged him to explore the world, and the good values that shaped him. In this funny, poignant memoir told in Bobby's distinctive patter, he takes fans on a tour of his road to radio. Bobby doesn't shy away from the curves he continues to navigate—including his obsessive-compulsive disorder—on his journey to find the happiness of a healthy family.